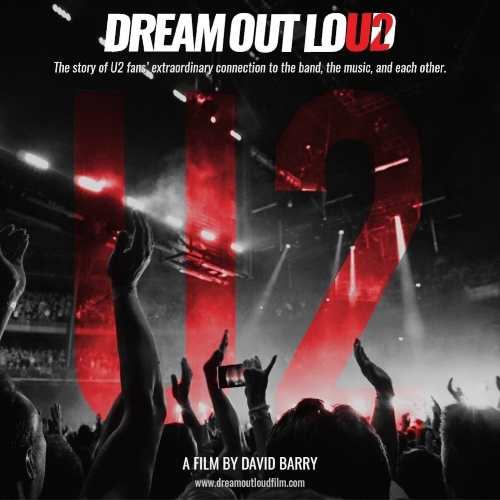 "Dream Out Loud" tells the story of U2’s fans and their extraordinary connection to the music, the band and each other. 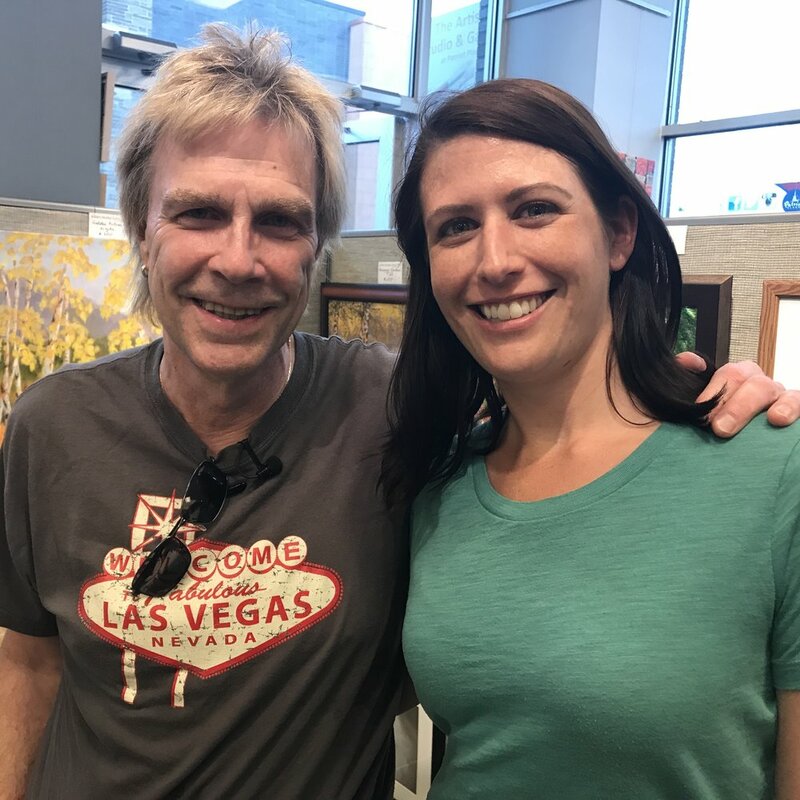 Funded in part by the support of 150 U2 fans from around the world via Kickstarter, filmmaker David Barry and I traveled to 25 cities, in 5 countries, from April - July 2017 to interview fans throughout the Joshua Tree 30th Anniversary Tour. We spoke with 200 men and women, ranging in age from 12-74 and representing more than 25 nations, to show the extensive impact U2 has made on people's lives. What resulted was a nearly 2-hour conversation about the songs, social justice, community, family, and the overall relationship between the band and its fans. I have worked on many great projects throughout my career, but this my first true passion project. I’ve been a U2 fan my entire life and have seen them in concert more than 30 times, starting when I was 11. David and I started working together in the early 2000s, and became friends when we realized we had the same appreciation for U2. He had talked about the idea of making this film for quite some time, before I even knew him, and when the band announced the Joshua Tree anniversary tour, it felt like the timing was finally right. We thought it was a good idea, but did anyone else? Why would we want to make a film about U2 fans, and not the band itself? 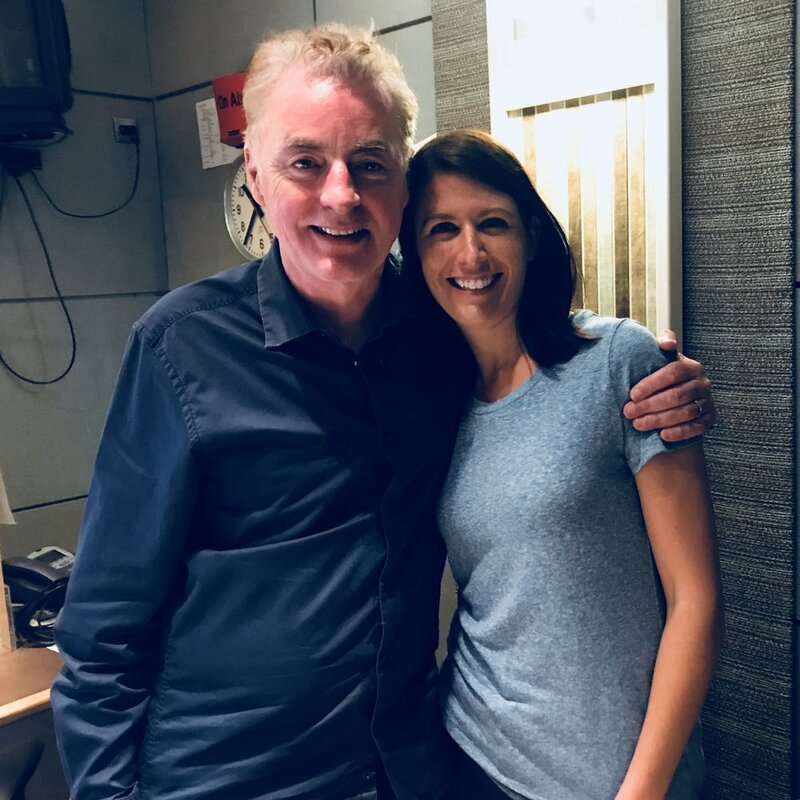 Those of us who had spent enough time at their shows knew that there was something more to it than just liking a band – U2 has an actual community surrounding them. It’s full of people who love the songs, sure, but it’s much more than that. These are people who are inspired by the band members to help each other, fight social injustice, express their own art, and do whatever they can to try to make a positive difference in the world. They reflect the spirit and tenacity for which the band is known. We found the answer by launching a Kickstarter campaign to raise money for a modest budget of $40k, which included traveling to 7 cities to film interviews with fans along the tour. The campaign was successful, thanks to contributions from people around the world who believed in the idea as much as we did, and we surpassed the original goal. With the funding secured, we realized we actually had to make this thing, so we opened up our website with a form for people to submit their stories. David said from the beginning that he wanted the film to be all-inclusive – that anyone who wanted to be in it would be in it. And he made sure that happened. In a short period of time, we had received more than 100 submissions, and it became clear that we couldn’t get to everyone in just 7 cities. So we expanded the mission to include 25 locations. This obviously increased the budget, but we didn’t want to ask the fans for more money, so we made the investment in our own film and covered the rest ourselves. By the time we started filming, we had nearly 200 people wanting to participate. 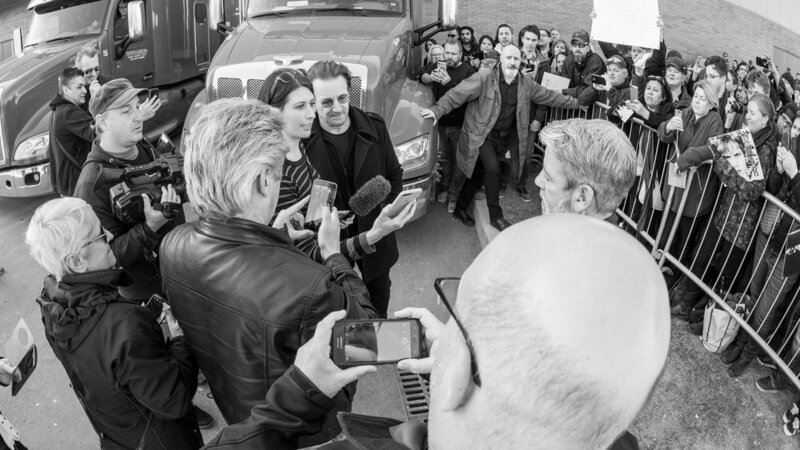 We traveled for the majority of 3 months to film the interviews, and it was such a rewarding experience on so many levels - not just being able to work on a project that meant so much to me, but also getting to see, hear, and feel the heart of the U2 fan community, which is what made us want to make the film in the first place. There were plenty of challenges along the way, and the travel was grueling at times, but it was all entirely worth it. So many people, mostly whom we didn’t know before, offered their support – whether it was contributing to the campaign, spreading the word about the film, offering places to stay, bringing us food, buying us ponchos when it was pouring, or just providing overall encouragement, it was truly humbling to see such kindness. When filming was complete, David had to figure out how to cut 600+ hours of footage into a reasonable length for a documentary. Even I thought he was a bit crazy to think he could get all 200 people into it, but he had a vision (and a remarkable logging system) and brought it all together in a captivating way. He beautifully wove the stories together to make a cohesive and compelling film. As the editing was wrapping up, the one thing we were missing was the band’s perspective. Because the film is about a relationship, it was important to show both sides of it. And while Bono and Edge had expressed interest, their schedules while touring and then promoting the new album were quite full. But we never gave up, and our persistence was eventually rewarded when Bono made the time for us. The other challenge, and my main focus during the post process, was securing the music licensing for the film. This was no easy task, especially considering the scope of what we wanted to include and our lack of budget (music fees can be quite expensive). But I was confident that what we created was special, and that I could articulate how the value in helping us was worth more than the money they would typically receive. When I got the official approval to use 36 U2 songs, one of which was the master recording of their current single at the time, “Love is Bigger Than Anything in Its Way,” it truly felt like a career highlight for me. It was also further validation that the band supported the project, as they had to sign off on the request. Although we worked on this film for more than a year, it really all came together at the last minute. The interview with Bono happened on April 21st, music licensing was granted on April 25th, and we held our world premiere on May 1st. A span of 10 days took the film from good to great. For me, the takeaways from this project are much more than the finished product itself. Working on “Dream Out Loud” really solidified a lot of the beliefs I have in my life and career. Everything works out the way it’s meant to, but it takes a lot of hard work and perseverance to get there. You can never be afraid to ask for what you want, because you probably won’t get it if you don’t. There is a fragile line between patience and persistence, but both are imperative to success. Throughout this process, the question David and I always asked ourselves was, “Have we done everything we can possibly do?” If the answer was ever no, that meant we needed to try something else. This idea is the impetus for how I live and work. I want (and need) to continue working on projects I believe in as strongly as I did this one. I always enjoy my work, but being so personally connected to the content makes a big difference. Everything I’ve done in my career so far led me to this opportunity, and I will always be grateful to David for sharing his dream with me. The film has now successfully screened in Tulsa, Las Vegas, Dublin, New York City, and Los Angeles. Our two live streams on Facebook reached nearly 8 times our page audience with no marketing other than word-of-mouth. Blu-Ray copies of the film have been sent to our Kickstarter backers. Film Festivals, broadcast and distribution are TBD. The support continues to pour in as more people see the film. The response has been overwhelmingly positive, and I am incredibly proud of what we all (the entire Dream Out Loud team and support system) accomplished. With Jack Healey, "Mr. Human Rights"
With Carter Alan, the first DJ to play U2 in the U.S.
May 1, 2018 at the Dream Out Loud premiere in Tulsa, OK.
September 22, 2017 in San Diego, CA. June 20, 2017 in Washington, D.C.